Floyd could probably be a better promoter to his fighters, but that's not where his heart (or ego) is. 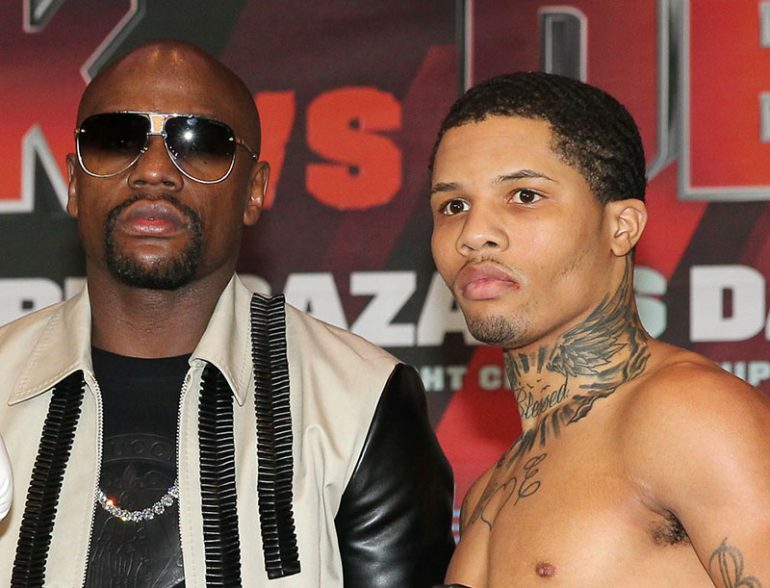 Gervonta Davis is Floyd Mayweather’s protege, and perhaps his most talented boxer fighting under the Mayweather Promotions banner. Now, Davis will be able to showcase his stuff on the big stage as the co-feature on the Mayweather-McGregor undercard. He’ll defend his junior lightweight title against untested prospect Francisco Fonseca on August 26 in Las Vegas. The plan was to match Davis with former titleholder Roman Martinez, but the Puerto Rican is not in training and wouldn’t be able to make the 130-pound limit, a source told RingTV.com. Davis is just 22 years old, but he’s quickly risen as a name to watch with his poise, tremendous power and TV-friendly style. Davis (18-0, 17 knockouts) has scored nine consecutive victories inside the distance, and it’s likely Fonseca will make it 10. The Costa Rican’s lone blemish came in his pro debut, but his opposition has been weak.